Have you been to a place that heals your mind, body and soul together? Koh Yao Yai is the place that I feel can do that for you. 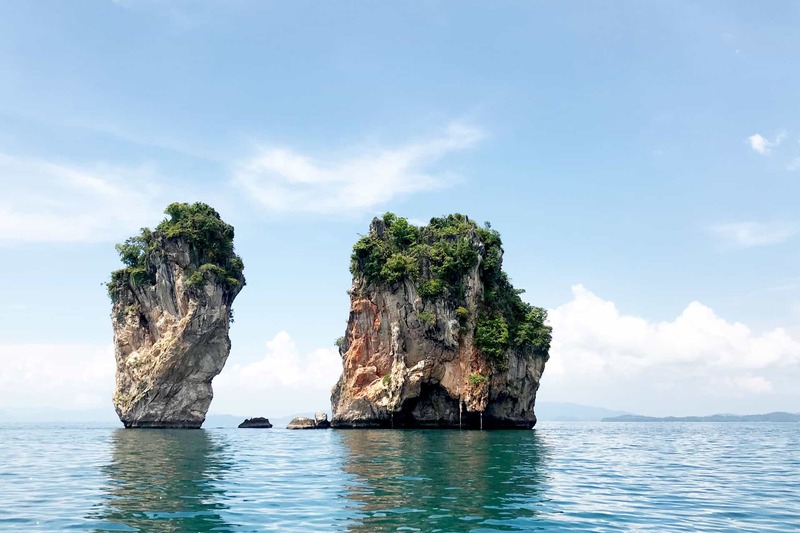 This post is about this undiscovered paradise in Thailand! This was the best 4th year Anniversary trip for us! Our air tickets were paid for, because we discovered a smarter way of travel! 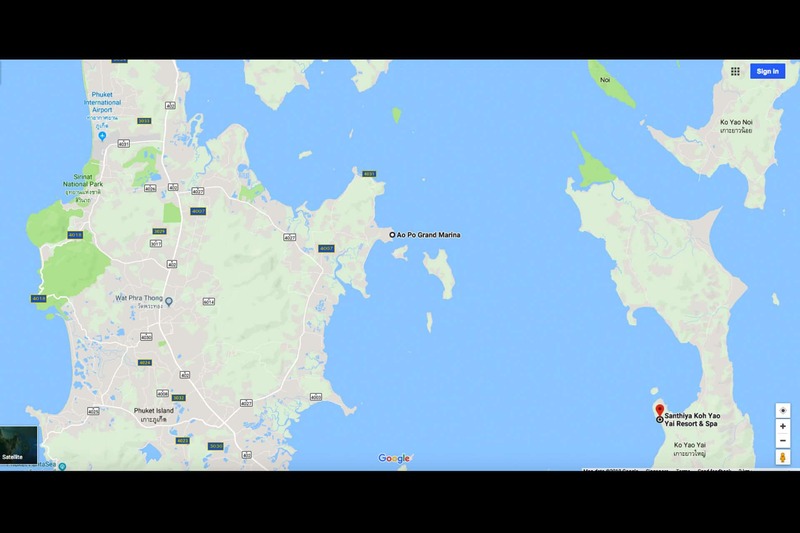 Where is Koh Yao Yai? Koh Yao Yai is located 20 mins away from Phuket island. Yep! Tourists usually flock to Phuket island for that they miss out on the accessibility of this nearby island. It takes around 50 mins in total to reach the island from Phuket International Airport. 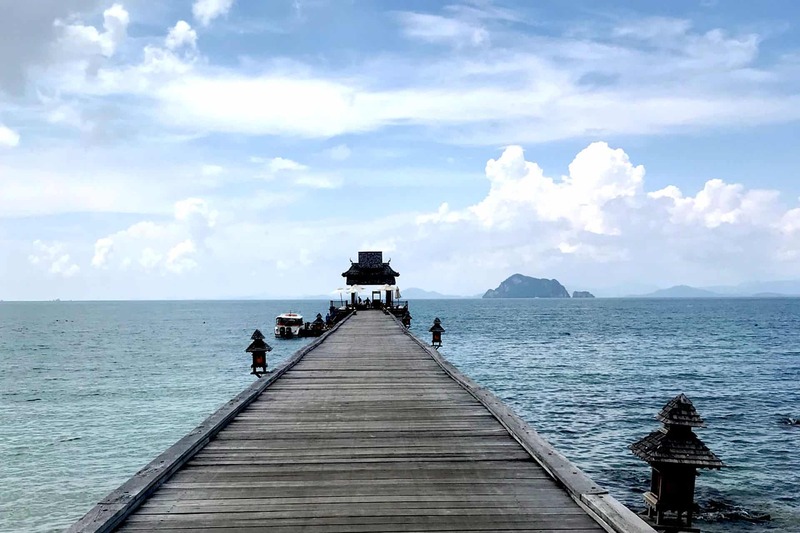 A 30 mins drive to Ao Po Grand Marina Harbour from airport, followed by a 20 mins speedboat ride to the resort’s private pier, that is if you took up the hotel’s transfer. It is speed boat! not the long tail boat ok! It was a total VIP experience if you did request for the transfer from the hotel, air conditioned lounge service, small bites before your ferry ride, ice bottled water when you are on the ferry. TOTAL AWESOMENESS! The Scenery on the way to Koh Yao Yai Island! Santhiya Private Pier. Peace and Tranquility. 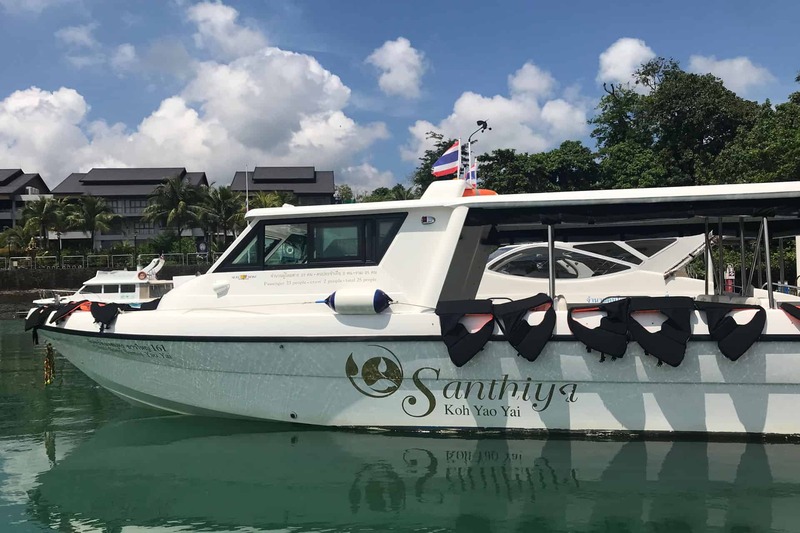 Santhiya Koh Yao Yai Resort & Spa is located right beside the beach front and all their rooms built on the mountainous surroundings, blending it in perfectly and offers a vast and beautiful view of the horizon. There are various types of rooms available. We stayed 1 night in the Supreme Deluxe Garden View and 2 nights in the Ocean View Pool Villa, total cost was just below 600 SGD / pax! The Garden view room posts a fresh touch of the forest right before your balcony with a Jacuzzi. But I would like to bring your attention to the Ocean View Pool Villa. Measuring 150 sqm, this stand alone villa consists of a private infinity pool with the panoramic sea view, there is a outdoor jacuzzi, a separate living room, a master bedroom and a whole stretch of bathroom featuring an outdoor shower! Do check out out instagram for photos for the resort and our Youtube channel for the introduction of the resort! This is the perfect room to book if you just want to chill with a good book or just do nothing. The resort is definitely big and there is a ton of activities for you should you want to get active out of your rooms! 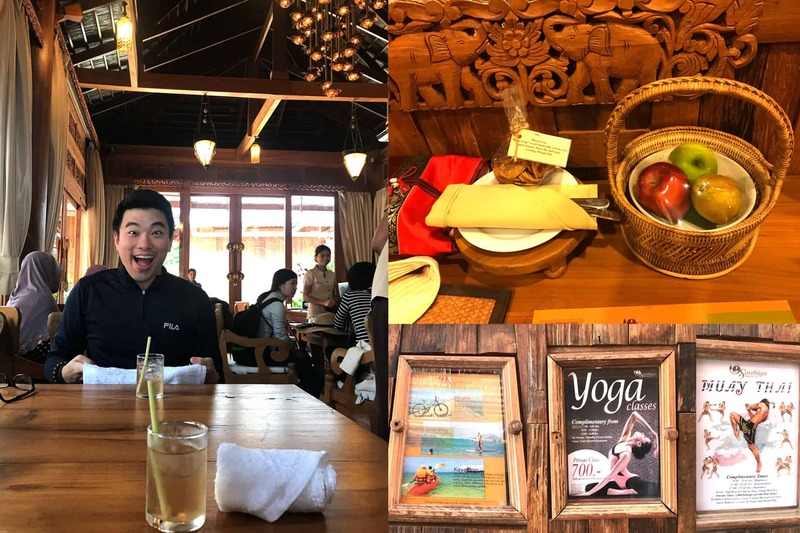 There are Yoga lessons, you can learn Muay Thai, beach activities like kayaking and stand up paddling and also bicycles if you would like to venture out of the resort! Its certainly worth it if you are someone who wants to relax in the resort as there are lots of things to do. You will never get bored! There are a total of 6 restaurants for you to choose from and various styles and locations where you want to have your meals! 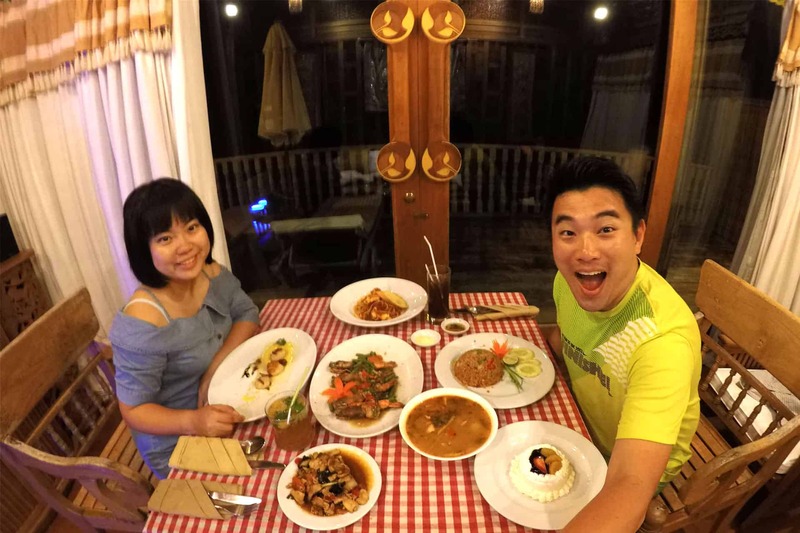 You can have in the restaurant with the view of the Andaman Sea, or by the sea with sunset, or at the pier, or at the beach! We are sure that there is one that suits your liking! Our pool villa was just too awesome that we chose to have our anniversary dinner in our living room. Their in room dining menu is just simply amazing, from Thai food to Western to Chinese food, including cocktails as well for you to order! We have the lobster pasta, BBQ Tiger Prawns, Scallops and Tom Yam Fried Rice! 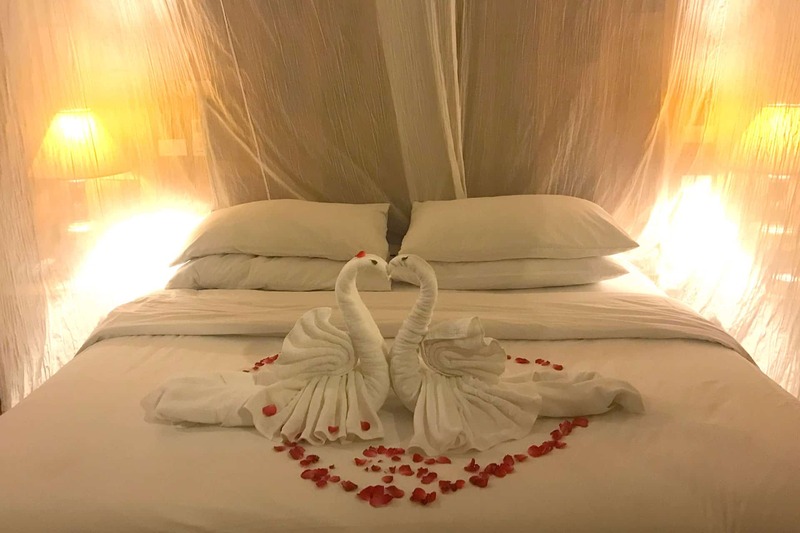 The staff of Santhiya resort also provided an anniversary cake and decorated the bed for our anniversary! P.S Santhiya resort did not provide us any monetary benefits for sharing all these… its based solely on us who want to share with you all these experiences. In Villa Dining with complimentary cake from hotel to celebrate our anniversary. Additional dishes with Tom Yam Soup and the chestnut chicken! Lovely Bed Decoration by the hotel! 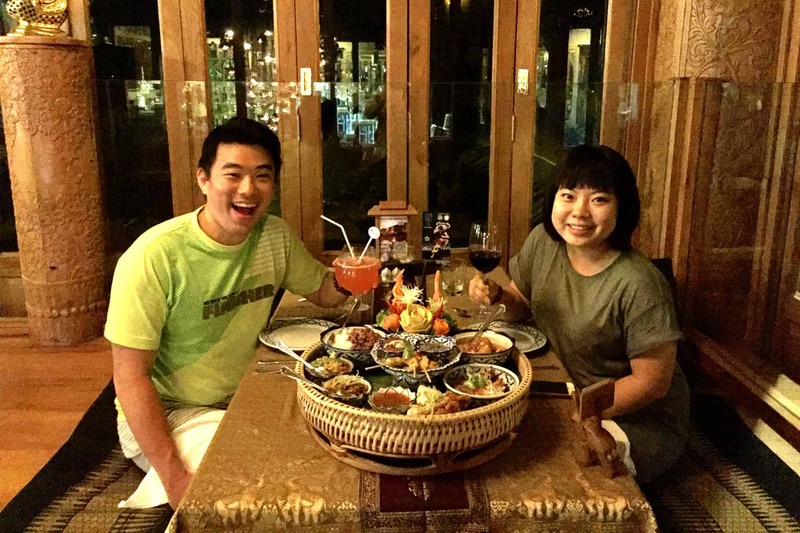 Khantok Thai Cuisine is the most unique restaurant out of the 6 restaurants located on the resort premises. 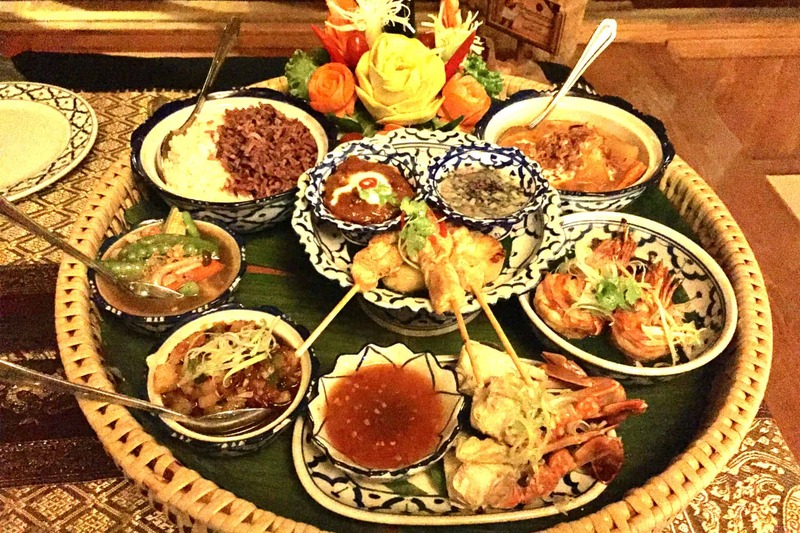 Khantok Thai Cuisine is a combination of the North and South Thailand cuisine. They serve various combinations of Khantok cuisinesfor you to choose from! 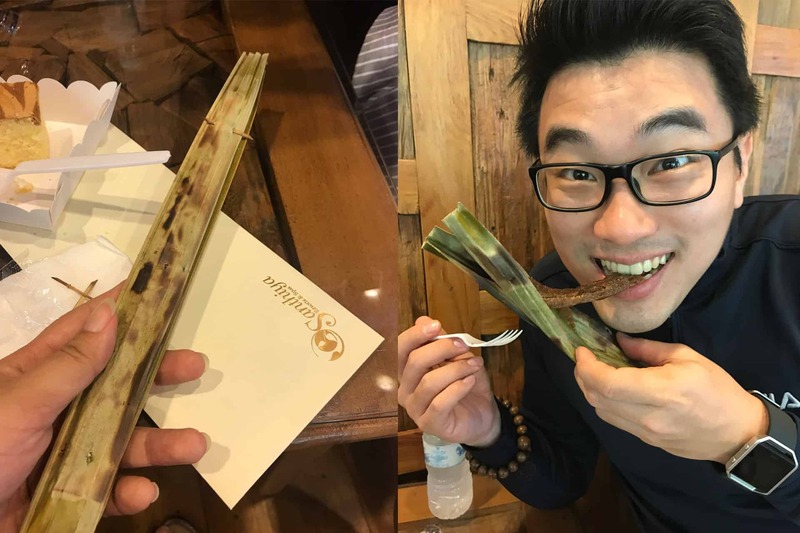 We had the Royal Khantok that was served to their Majesty King and family on 4th January 2017! If the Royals are being served with such delicacy, it must be the best! Have a taste of what it is like to be in the Royal Family! 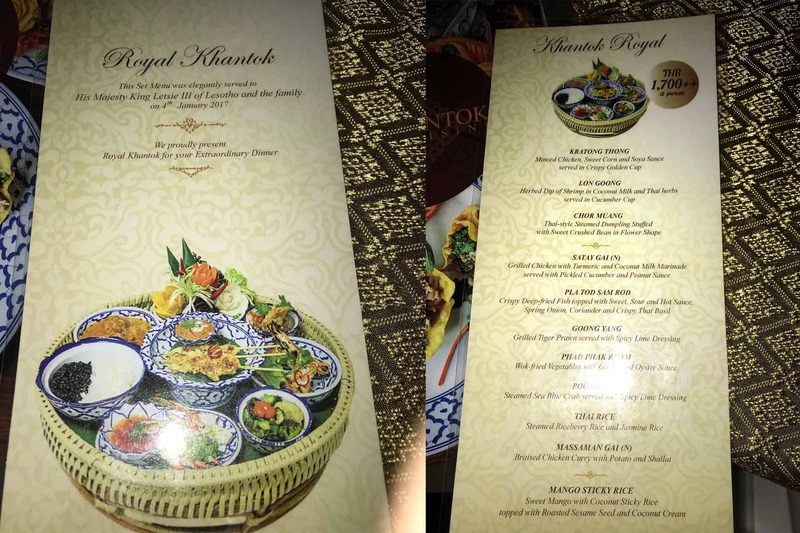 It cost 1700THB for two person, around 72SGD for two for this unique and extraordinary dinner like the Royals! Khantok Restaurant -Cheers! Wonderful cocktails paired with Royal Khantok! The breath taking and peaceful view at Breakfast! Breakfast Panorama,Best Breakfast view in the world! Wide Spread for Breakfast ,barista style cappucino,best place to have breakfast! If you are here at the resort, please make sure you are a morning person! The location of the breakast area is just breathtaking. You can sit here for the whole morning from 7am onwards! 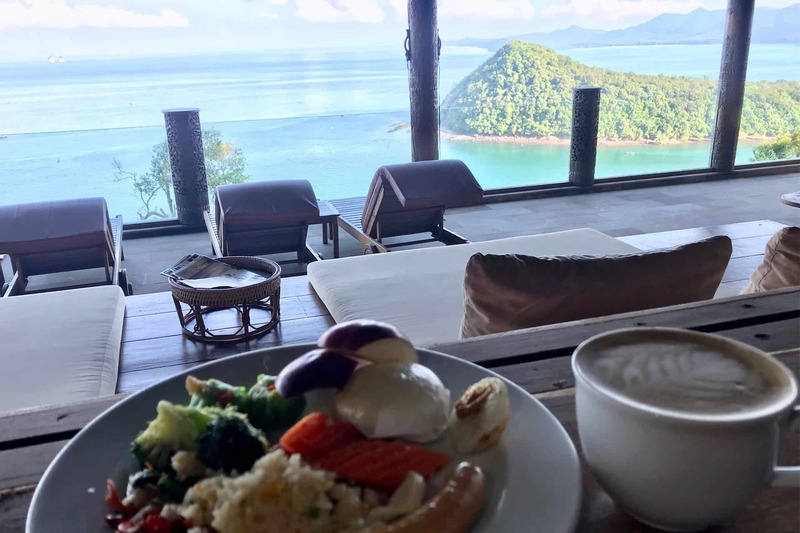 Highly perched up the hill, there are limited seats that offers you the vast horizon and the clear waters during your breakfast! Enjoy a cup of coffee with a good book and eat all you want from the buffet breakfast! 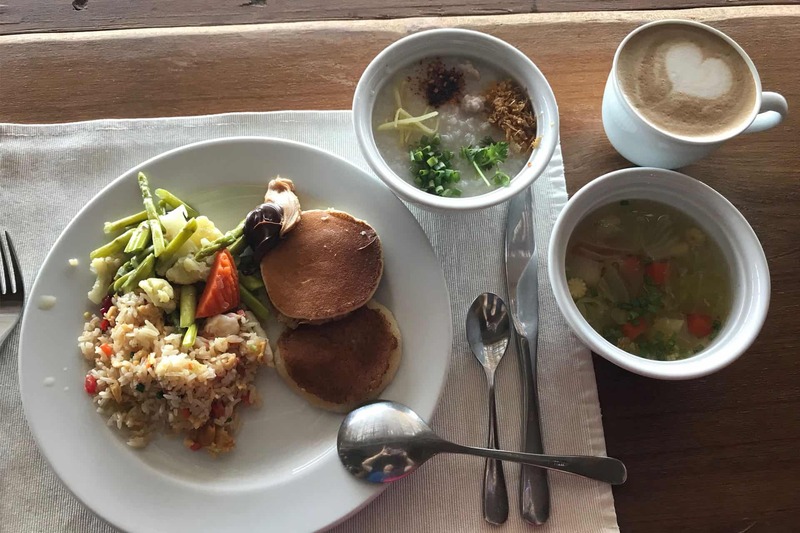 They have a variety of cuisines to choose from, there is western cuisine, benedicts eggs and poached eggs, chinese and thai, various cold cuts, toasts and bread! You MUST be here to experience the serenity of the best breakfast place in the World! While there are many activities that you can indulge in at the resort, there are also activities that you can do on the island, outside the resort as well. Please stay tuned for our upcoming post next week! Remember to subscribe to our blog and Youtube channel to get the latest updates of our post! Remember to also follow us on Facebook and Instagram @CrazyAdven2ras ! BE CRAZY! Stay Adventurous!